UL Listed Protectors for areas where abuse to smoke detectors is severe. 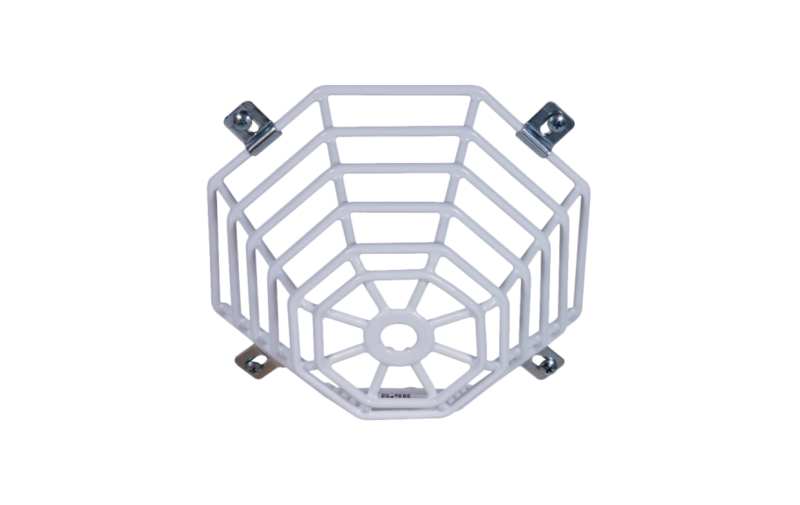 STI borrowed from nature’s master builder, the spider, to create a web of protection from vandalism and accidental damage with these UL Listed wire guards. They are constructed of heavy-duty steel wire with corrosion resistant plastic coating or heavyduty stainless steel wire. Together, they cover virtually every smoke detector model available. These Steel Web Stoppers are backed by a three year guarantee against breakage in normal use. Installation and servicing are easy with models for both flush and surface mounting. Highly recommended for areas where abuse to smoke detectors is severe.